We provide various type of plating set for silicon wafer, from small chip to 12 inch wafer. 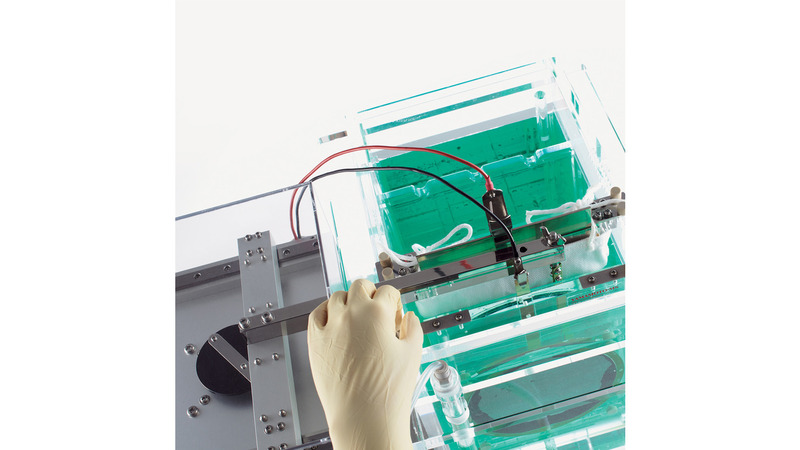 Our plating sets make it possible to carry out precise plating of semiconductors, MEMS and micromachines, using specially designed jigs, such as fully-sealed or non-sealed-type cathode cartridge. The set has overflow-system, which generates a gentle convection from the bottom of tank, while conducting continuous filtration. Applying air bubbling and paddle agitation simultaneously, very uniform film thickness is obtained. Our sets can also be applied for the plating of glass and film substrate.